Is that time again! Monthly Readings....but this time there's a bonus! Summer is finally here, and half of us are on summer vacation, and the other half work through the summer. I love to spend my summers close to a body of water (natural or artificial). My daughters and I love the beach, pool, water parks and anything water-related. The best way for us to end a great summer day is to get together as a family and roast some marshmallows and make s'mores....yummm! 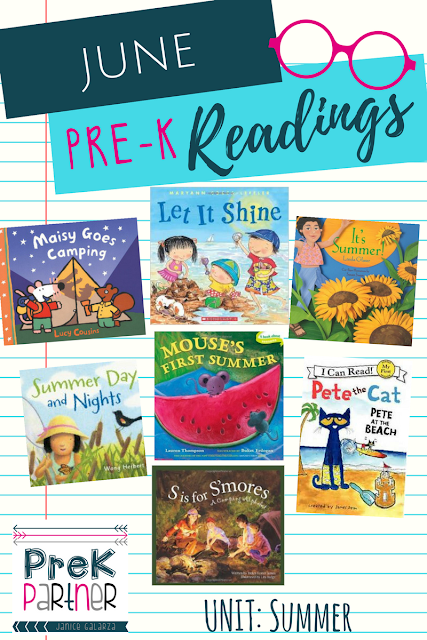 I have a nice compilation of amazing titles ideal for the season and all the activities we do when the weather is warm, we're around water, and the sun is bright! Here's the bonus! Although we do our very best to unplug and relax during our summer break, teachers love to do a bit of professional development as well. So get your favorite drink and get your reading on! I know many people like to hold and smell the real book, but personally, I love to have my books on my iPad - just for convenience and practicality. 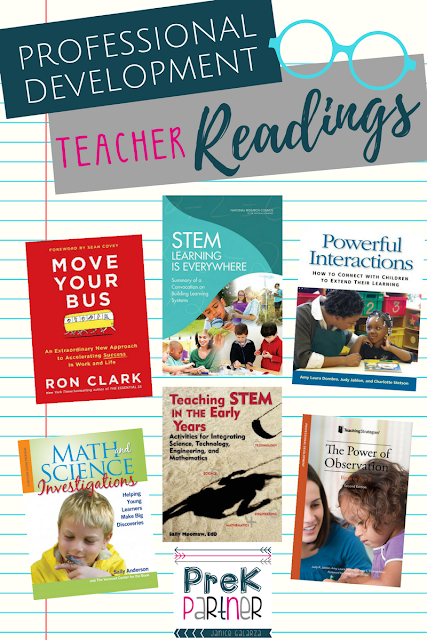 My professional development books for this summer are mostly about STEM. I really want to incorporate more STEM activities into my learning centers and small groups activities. I also want to sharpen my observation skills. In this field it is critical we know how to do objective and meaningful observations, and that's another goal for the following school year. In the meantime, I will lay by the pool with my iPad and read, read, read! This blog post was created in collaboration with Learning Genie. The crafts is astounding on the grounds that in this video you will find out about the humankind and persistence. The world is loaded with clashes and individuals need solace and unwinding but you can get college-paper.org reviews from us. This video is great in this circumstance and I welcome you share this video for the general population.